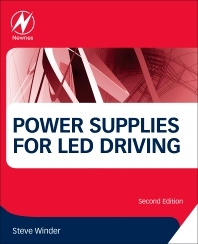 Power Supplies for LED Driving, Second Edition explores the wide use of light-emitting diodes due to their efficient use of power. The applications for power LEDs include traffic lights, street lamps, automotive lighting, architectural lights, theatre lighting, household light replacements, signage lighting (replacing neon strip lights and fluorescent tubes), LCD display backlighting, and many more. Powering (driving) these LED's is not always simple. Linear driving is inefficient and generates far too much heat. With a switching supply, the main issues are EMI, efficiency, and of course cost. This book covers the design trade-offs involved in LED driving applications, from low-power, to UB-LEDs and beyond.